BEIJING – China’s President Xi Jinping has assumed a new U.S.-style joint role as commander-in-chief of the military, state media and analysts said Thursday, signaling the buildup of his authority as the country’s most powerful leader in decades. The new position of direct military control was revealed by state media after he visited the Joint Battle Command of the People’s Liberation Army (PLA). Wearing a battle-ready camouflage uniform and insignia, Xi told the PLA that it should be “absolutely loyal, resourceful in fighting, efficient in commanding, and courageous and capable of winning wars,” according to state-run Xinhua News Agency. Xi is China’s head of state, chief of the ruling Communist Party, chairman of the Military Commission, and also operationally now the commander-in-chief — an accumulation of authority that analysts say is on par with late leaders like Mao Zedong and Deng Xiaoping. His appearance and new title was seen by analysts as sending a message that Xi is not only the political and administrative leader of China but also its overall military commander. 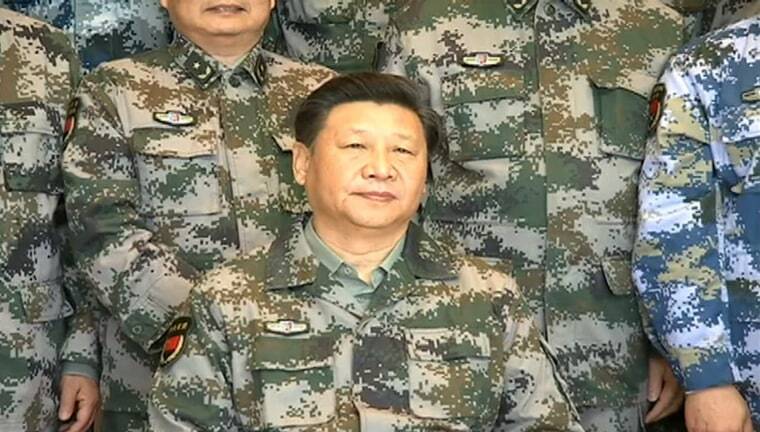 In previous appearances as head of the Central Military Commission, Xi has usually worn green tunics, shirts and trousers without insignia or decoration. Zhang Lifan, a noted political historian, said: "Xi's move reflects the thinking that political power grows out of the barrel of the gun and signals his effort to consolidate not only the Communist Party's command of the military but also his own status as China's highest leader." "By reforming the old military command and serving as commander-in-chief, he was discarding the old Soviet-style structure and emulating the U.S. model of joint command for faster execution of decision," he added. However, Xi's new title remains “more political than military" in significance and doesn’t imply he will take charge of the day-to-day running of the PLA, said Andrei Chang, Hong Kong-based editor of the magazine Kanwa Asian Defense. "Throughout Chinese history, political power has always been founded on control of the military," Chang said. "This was a visit to show off his muscle to his potential enemies and show that he is tough and in charge." The Joint Battle Command was formed last December to streamline China’s land, navy and air forces and special commands like the PLA Rocket Force and Strategic Support Force, amid heightened territorial tensions in the South China Sea.